Here are the seven features that today’s home buyers want most in a home. Home buyers want homes that are worth the amount they’re paying for them. While every buyer has a different taste, some desires are common among those looking for a home. If you want to get ahead of the competition, it pays to know what features will make your home easier to sell. Today’s homebuyers prefer hardwood flooring to wall-to-wall carpet on the home’s main floor. It’s more durable, easier to maintain and provides a sleeker look. According to the National Association of Realtors (NAR), 54 percent of homebuyers are ready to pay more for a home with hardwood floors. Numerous real estate agents have also found their buyers to desire hardwood floors in their next house purchase. What’s more, hardwood floors have been found to increase a home’s value. In a study conducted by the National Wood Flooring Association (NWFA), 88 percent of the responding agents said that homes with hardwood flooring sold for 1 percent to 10 percent more. Twelve percent of the respondents indicated that they sold for 10 percent higher. A 2003 study found that the selling price of homes increased by 6 percent after hardwood flooring installation. The days when compartmentalized rooms separated by doors and walls were the norm are long gone. Homebuyers now desire floor plans that flow seamlessly from one room to the next. An open floor plan allows homeowners to entertain their friends and family more easily and interact with them while in a different room. Our fast-paced modern lifestyles require plenty of organization. It’s no surprise that home buyers today are looking for homes with good storage solutions. Walk-in pantries, linen closets, separate laundry rooms, mudrooms, and other built-in storage areas are the new big selling points. 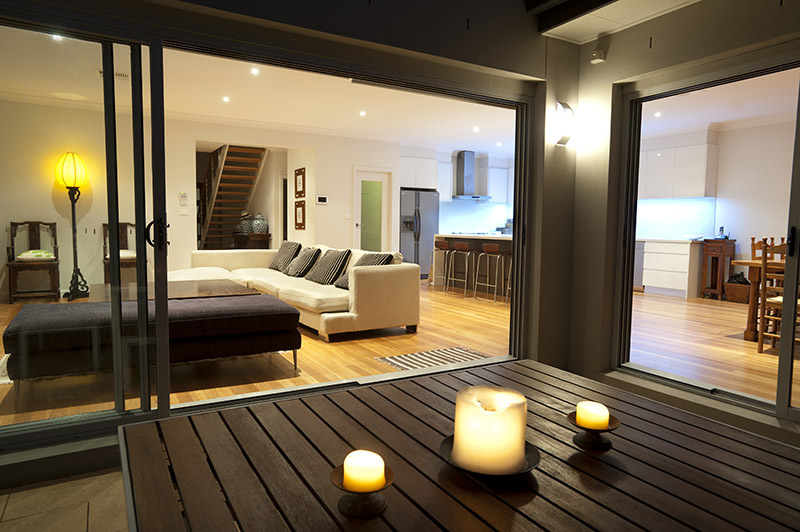 Homebuyers are interested in the indoor features of a home as well as what the outdoors have to offer. Nowadays they prefer homes with extravagant outdoor spaces for guests and family members to enjoy. Some of the features they desire in these areas include attached decks, patios, outdoor kitchens, and fire pits. Nowadays, updated bathrooms are high on buyers’ wish lists. They consider bathrooms to be a hint of how well maintained the home is. Some of the ways you can make a bathroom more appealing to homebuyers are by freshly painting the cabinets and installing new fixtures. Energy-efficient features are increasingly important to buyers today. They can help buyers save significantly on their utility bills. They include effective insulation, low-flush toilets, double-paned windows, and Energy Star-certified appliances. A home that has the above key features that homebuyers want will generate more interest and sell faster than one without them. If you’d like to make your home appealing to buyers by installing hardwood floors, contact us at Elegant Floors. For over 20 years, we’ve been offering hardwood flooring sales, installation, restoration and refinishing services to customers in Palo Alto, Sunnyvale, Los Gatos, Los Altos, Menlo Park, Mountain View and the surrounding areas. Our team of professionals will actively engage you from your initial phone call to the completion of your project and maintain the planned timetable and budget. Contact us at 650-961-1339 or 408-773-8624, or through our online contact form to get a free quote.